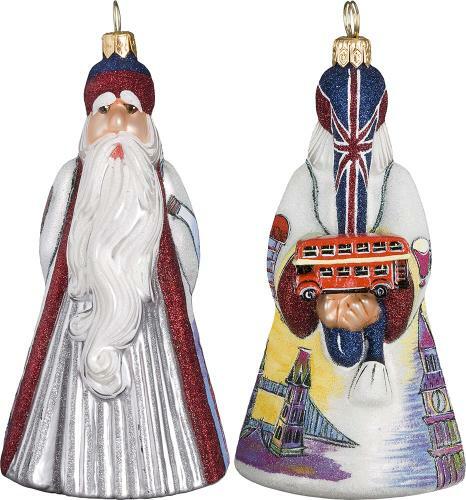 Britain with Bus International Santa Glass Ornament! 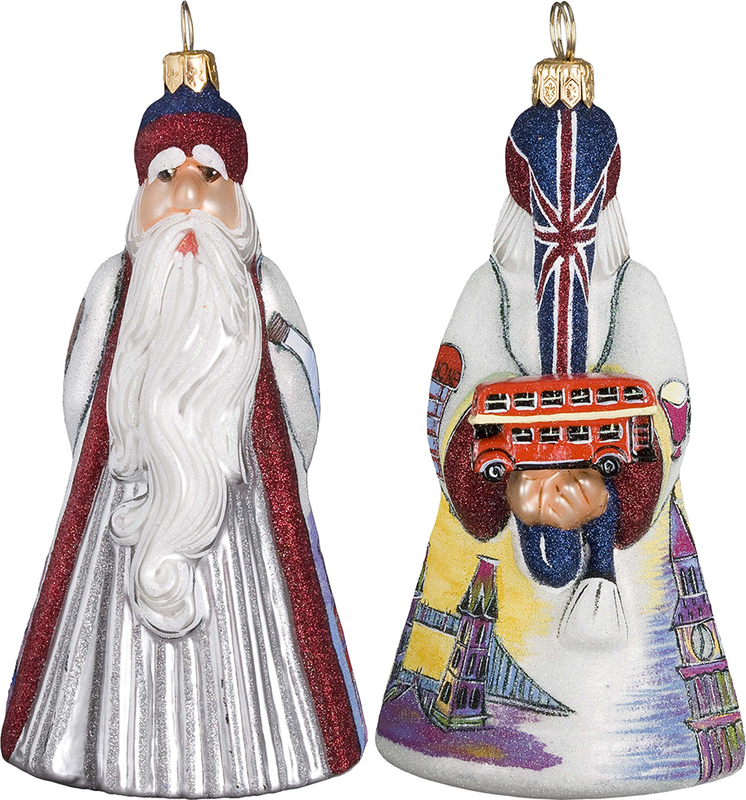 The Joy to the World Britain with Bus International Santa Ornament is a European mouth blown and hand painted glass ornament - gorgeous! Beautiful on a Christmas Tree or on a shelf year round. Made in Poland.